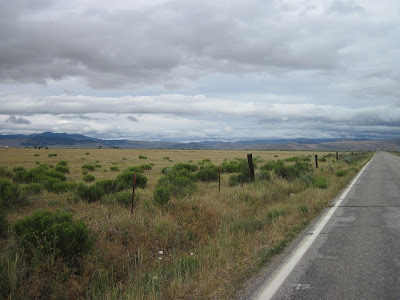 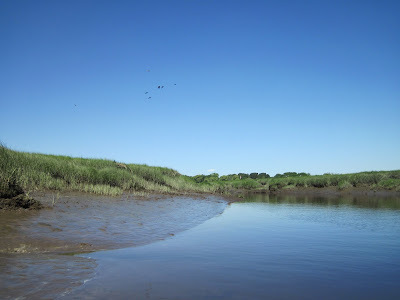 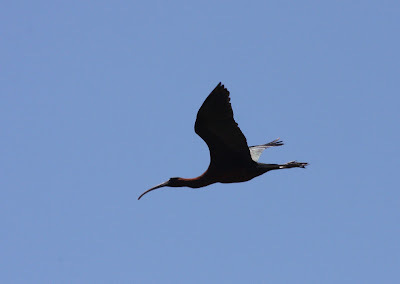 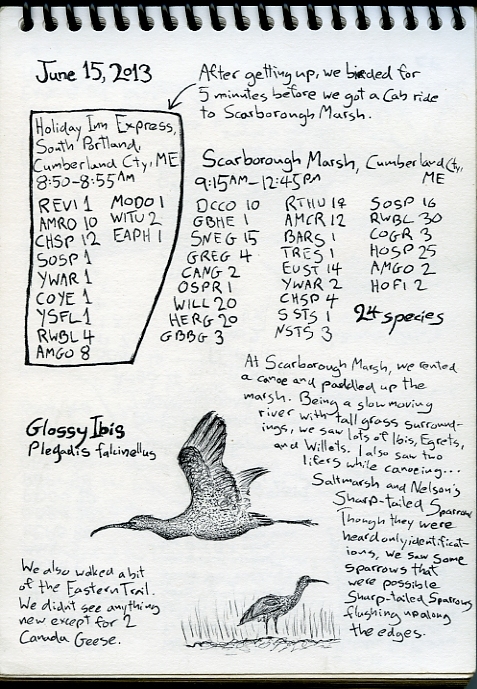 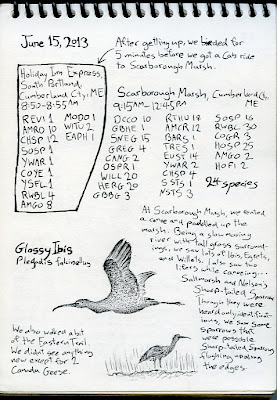 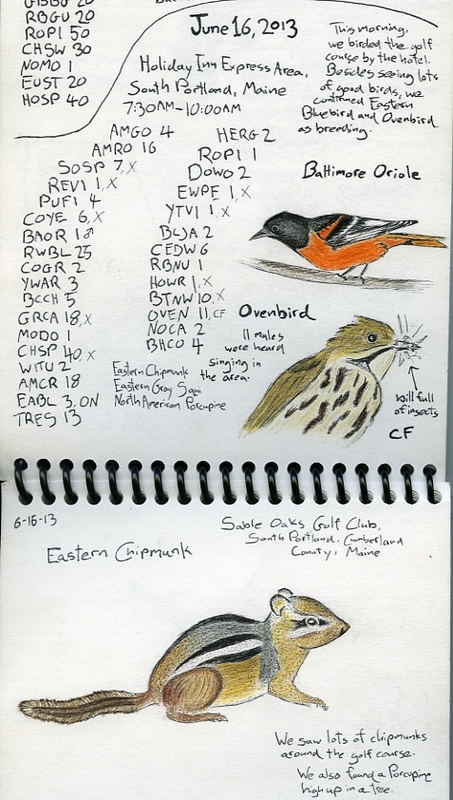 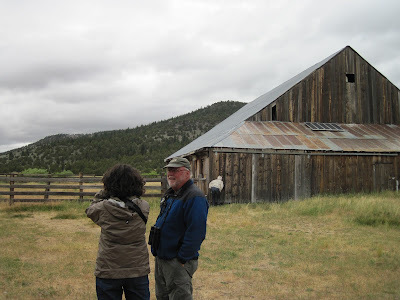 Over the last week of June, I (Marcel) had the great privilege of attending a Western Field Ornithologists' field trip to the Northeastern Counties of California, thanks to an extremely generous WFO scholarship. 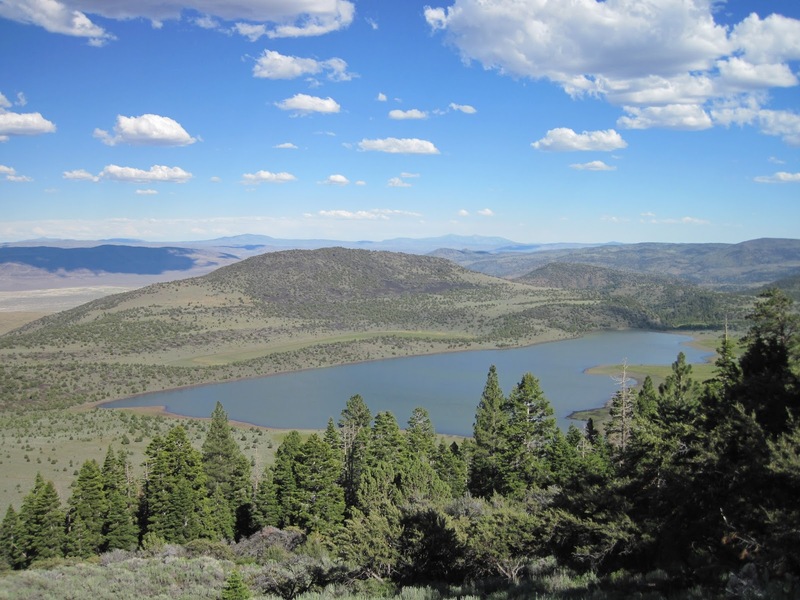 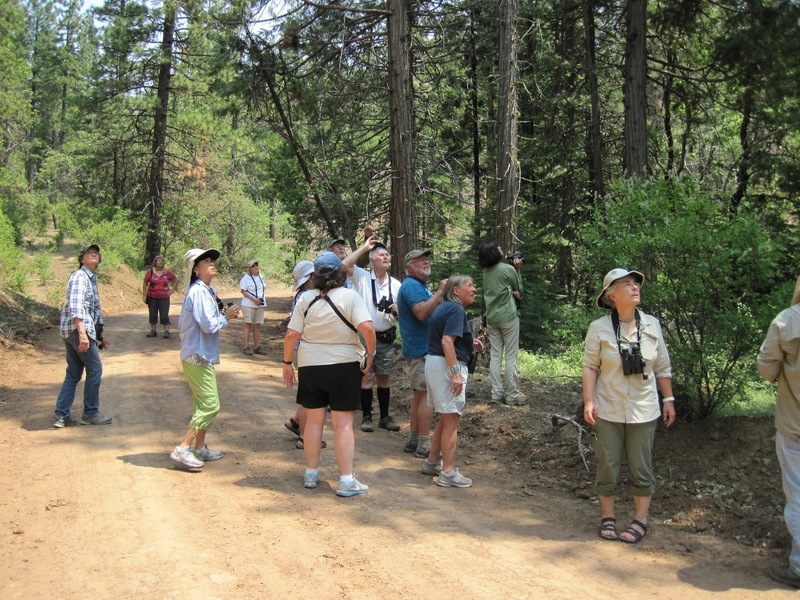 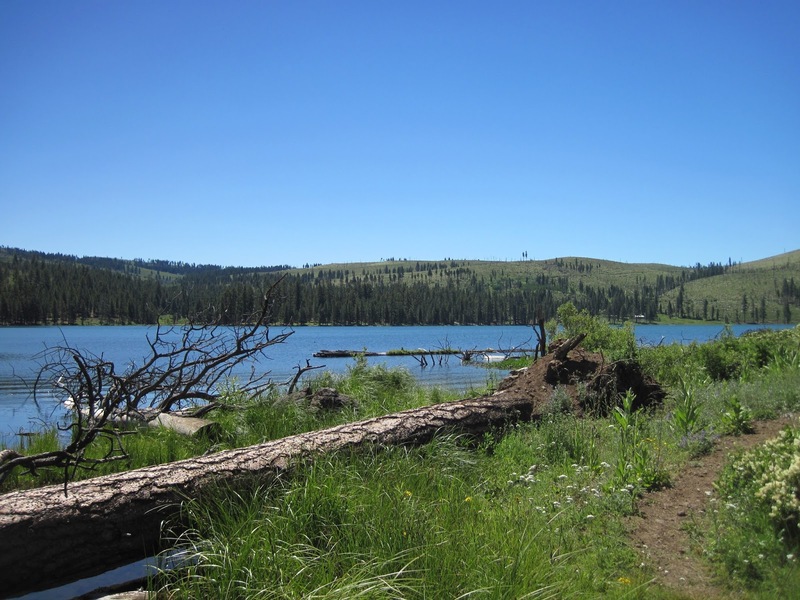 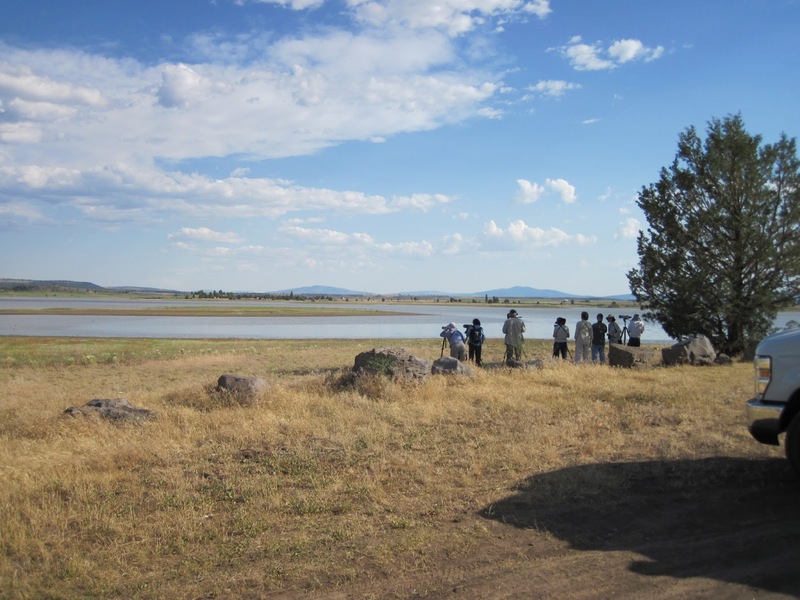 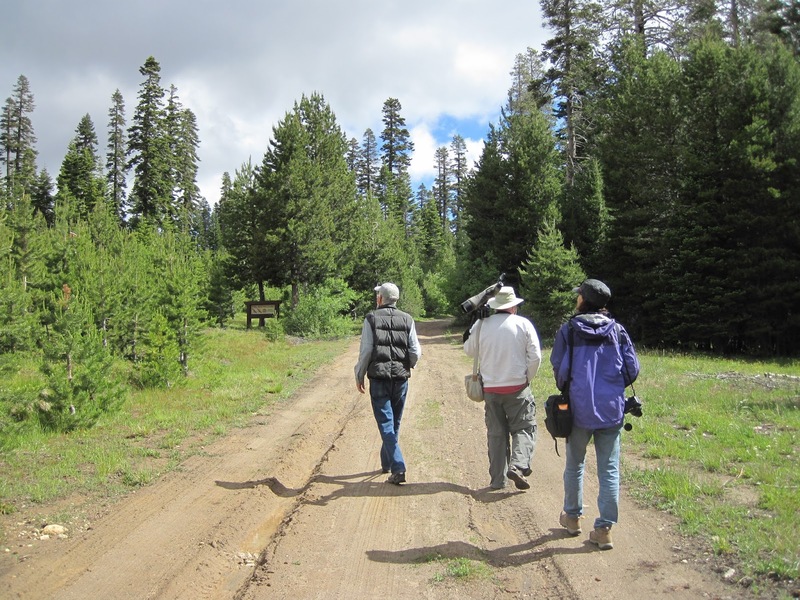 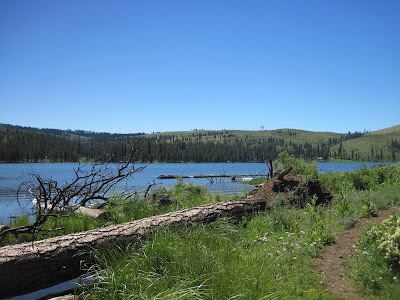 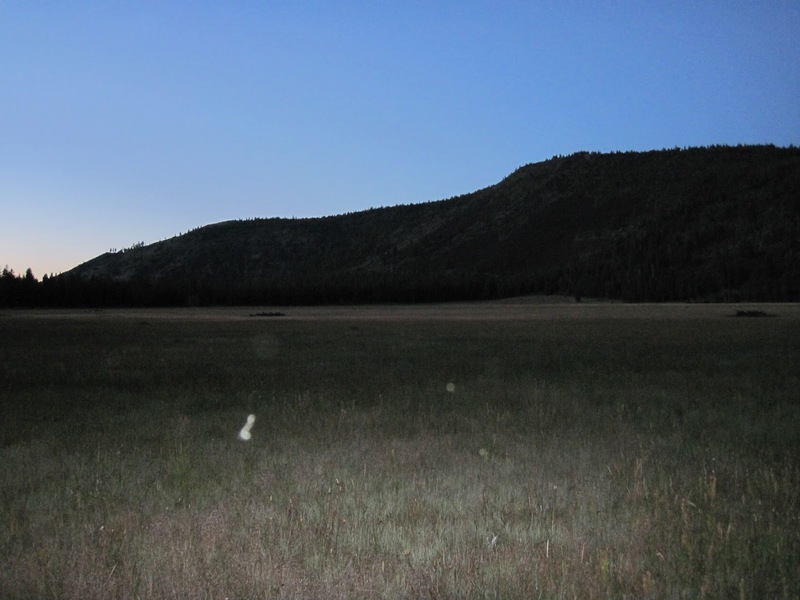 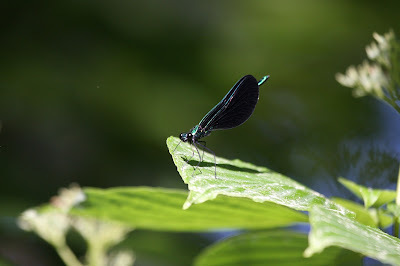 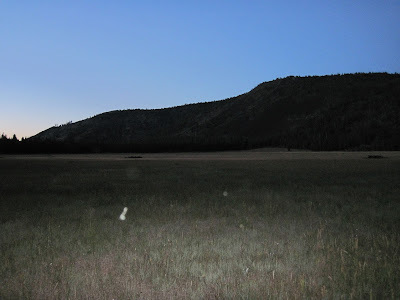 Led by Ken Able, Jon Dunn, Lena Hayashi, and Dave Quady, we explored the varied habitats of the Sierra Valley, Modoc Plateau, and the Warner Mountains. 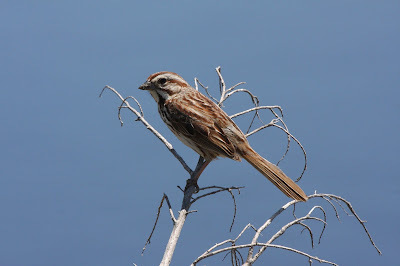 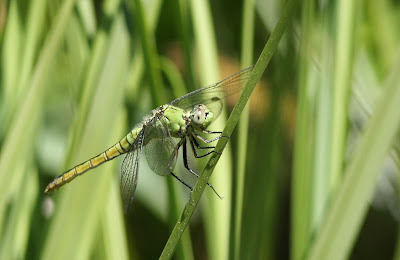 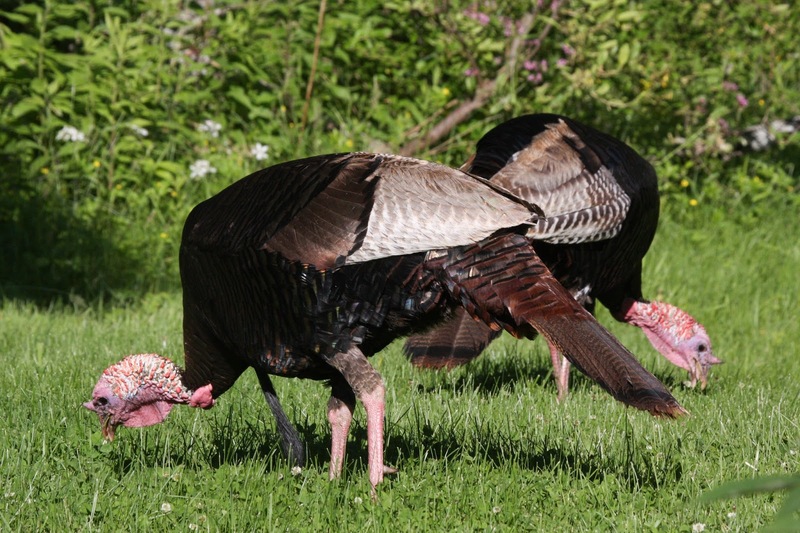 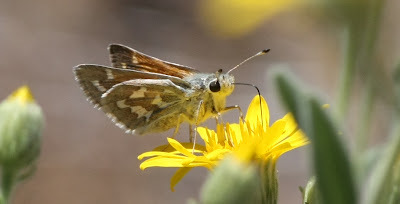 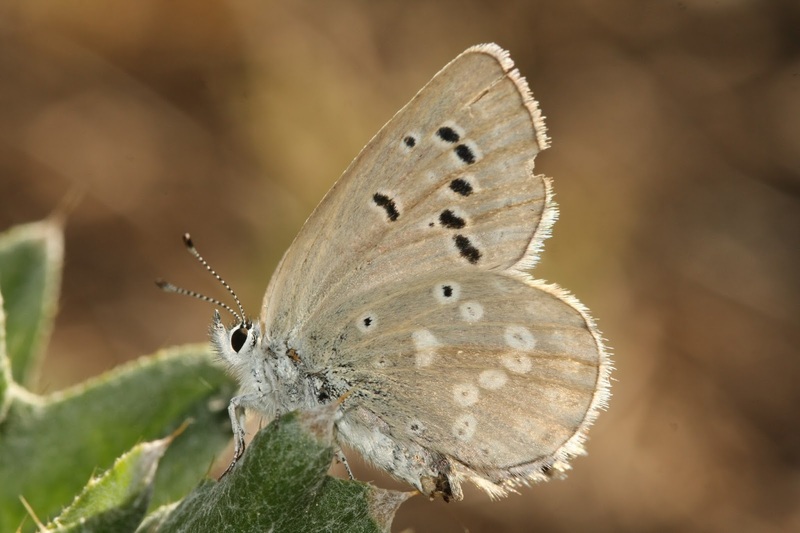 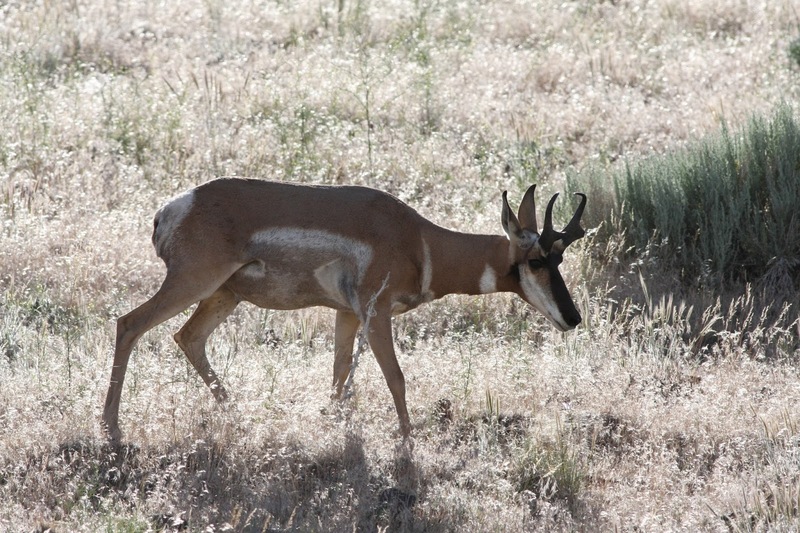 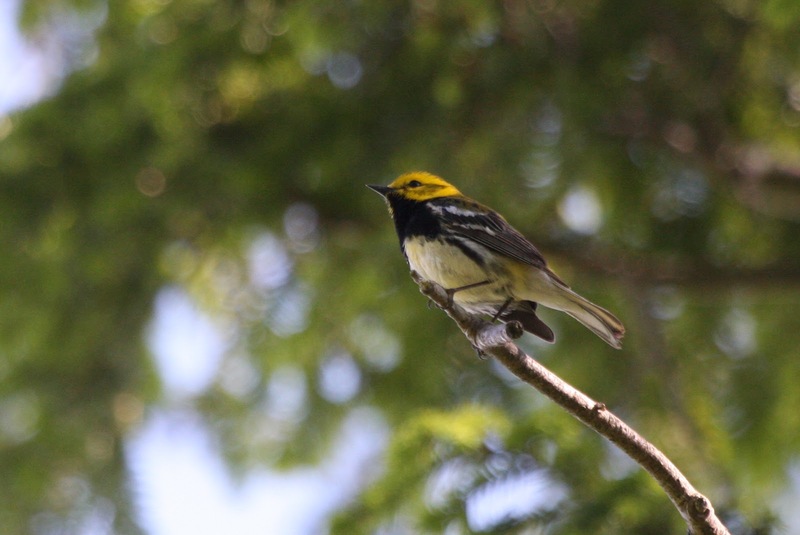 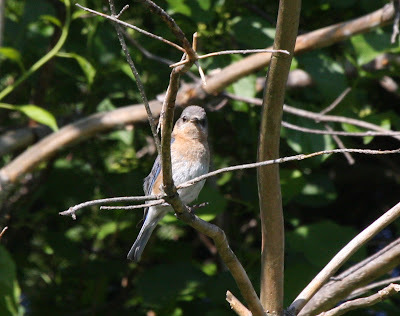 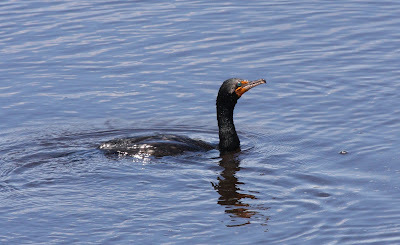 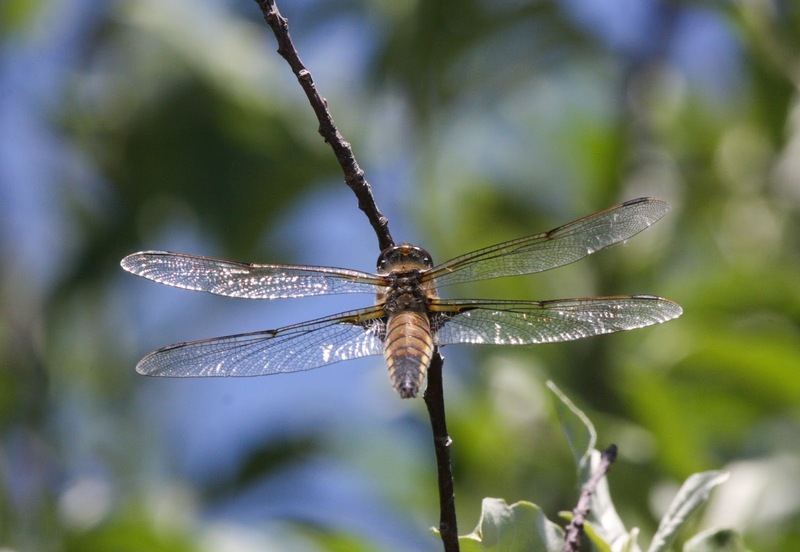 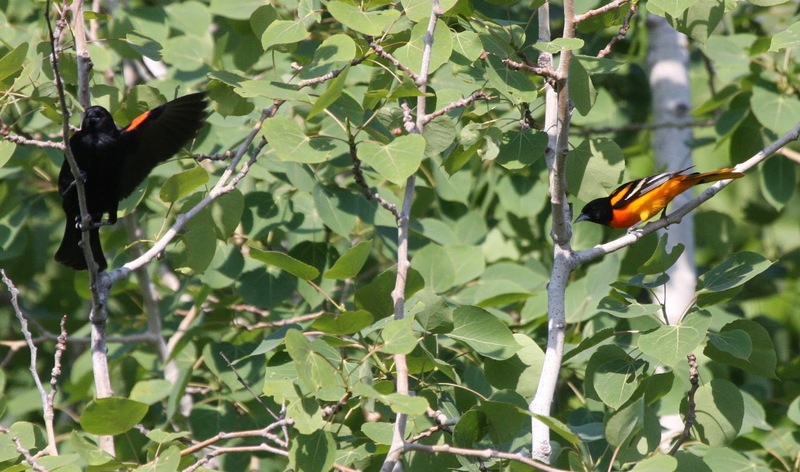 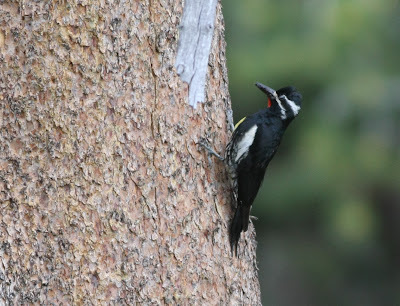 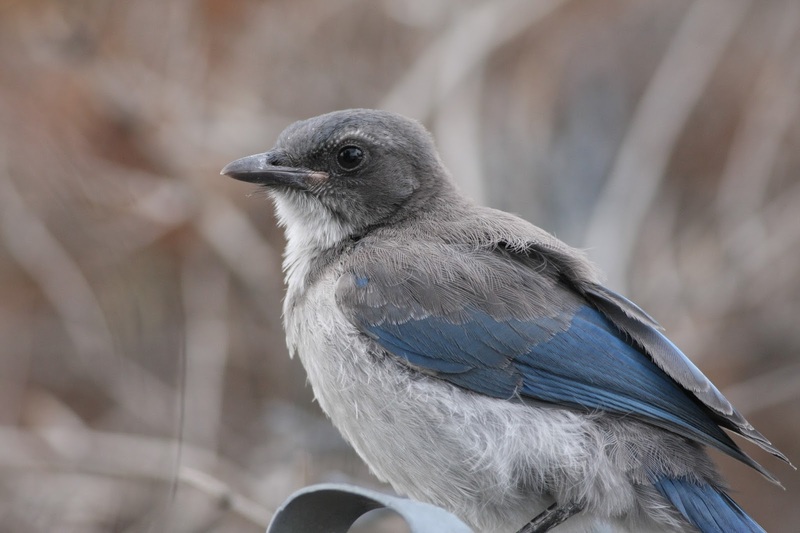 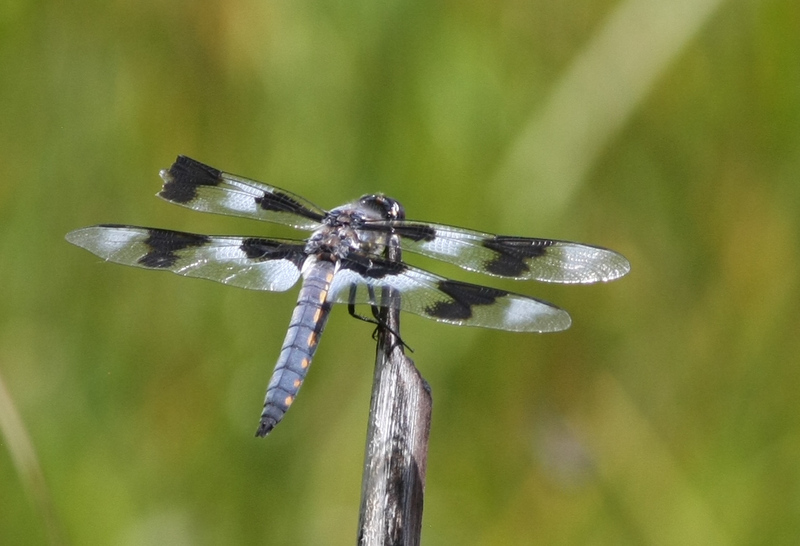 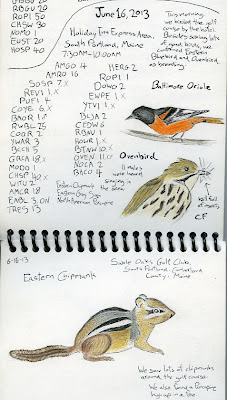 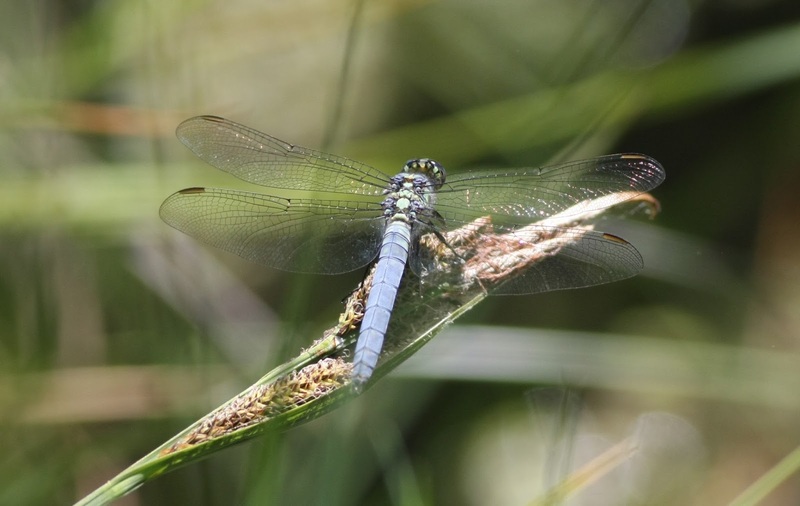 There was great avian diversity to be found in the sagebrush, alkali flats, pine forests, oak woodland, and spruce highlands, as the group tallied over 170 species in eight days. Thanks again to WFO for providing me with the opportunity to enjoy this once-in-a-lifetime experience! Following is a series of my best photos from the trip, including birds, landscapes, people, and other things. A young member of a family of Western Scrub-Jays (coastal subspecies californicus) at the eastern extremity of its range in Reno, NV. 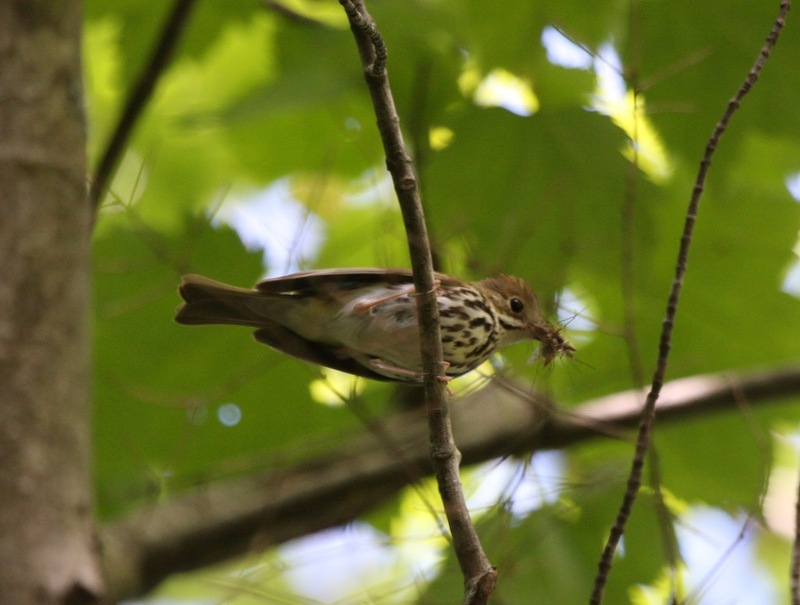 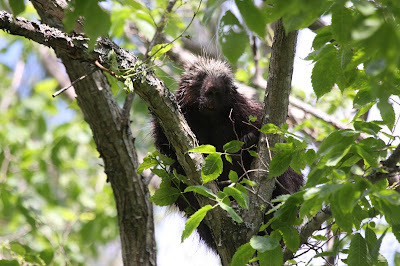 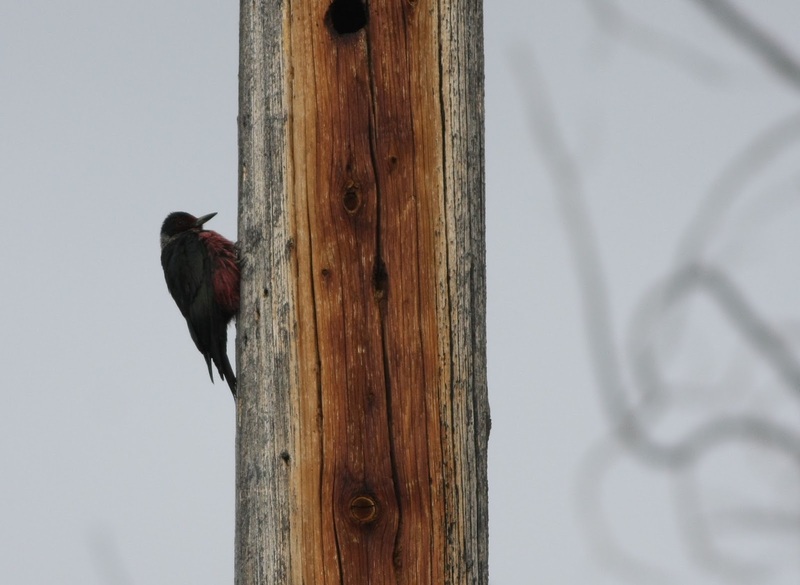 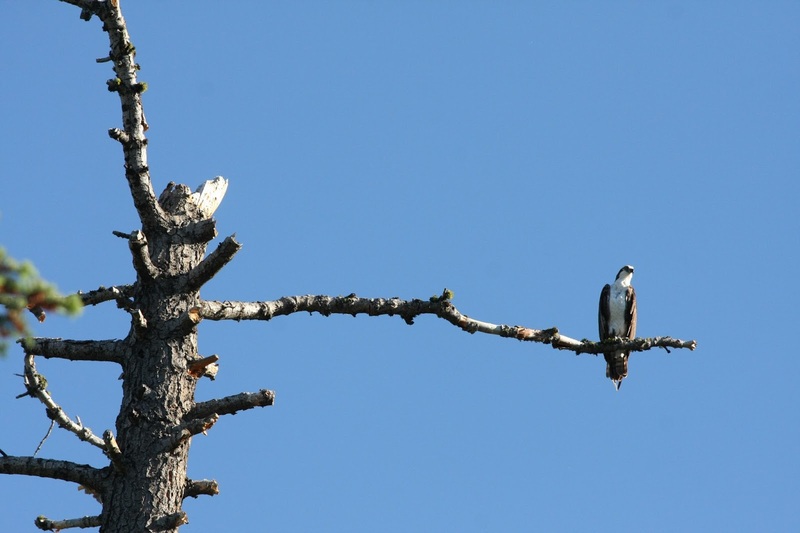 A male Williamson's Sapsucker at a nest (just out of the photo). 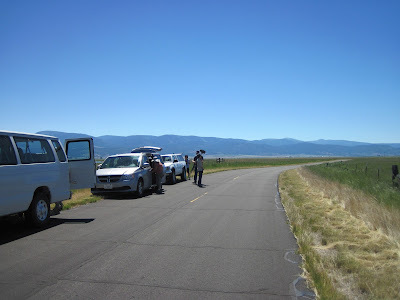 Lemon Valley Road, where there were Barn Owls to be found. 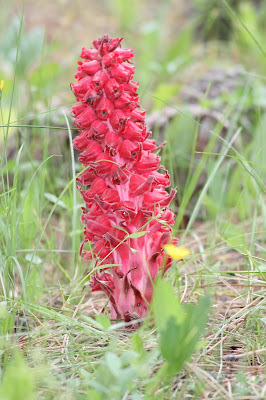 Snow Plant (Sarcodes sanguinea) was an abundant species at the higher elevations. Sierra Valley, with storm clouds brewing. 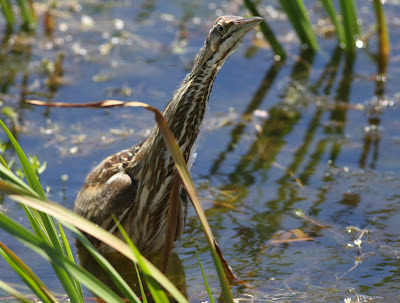 American Bittern in the Sierra Valley. Lewis's Woodpecker, with nest located at top of photo, at Smithneck Creek County Park. 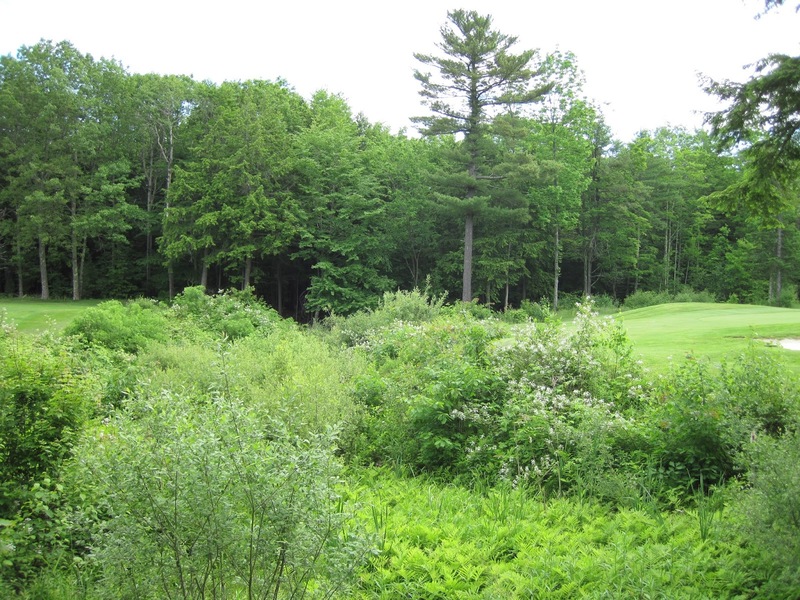 Carmen Valley (there was a Hairy Woodpecker nesting in one of the fence posts). 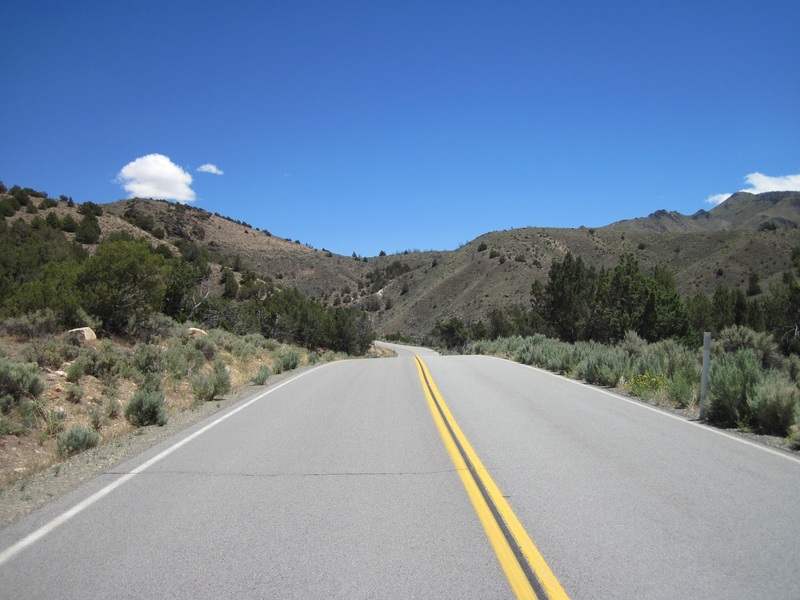 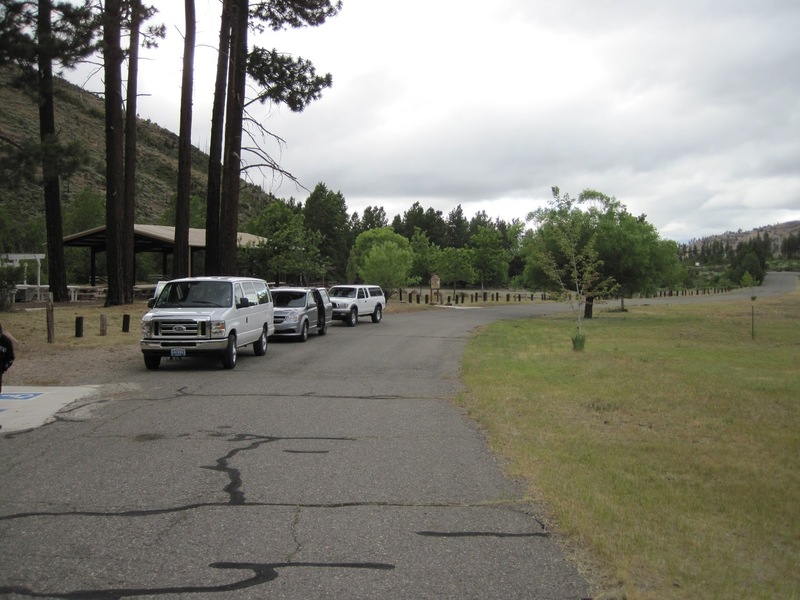 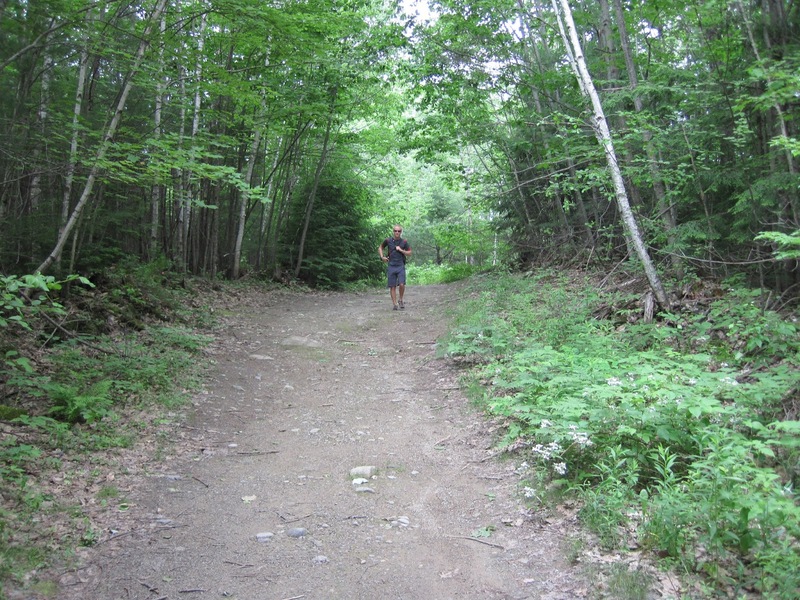 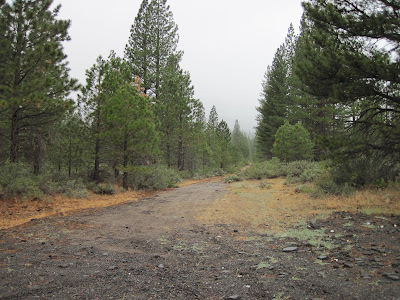 Mountain Quail Road (though I have heard that its namesake is almost unheard of at this location). 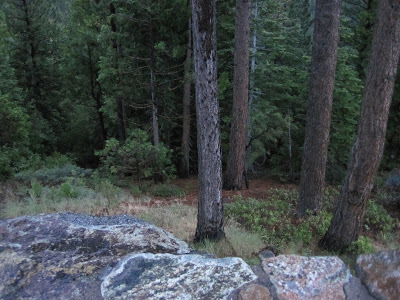 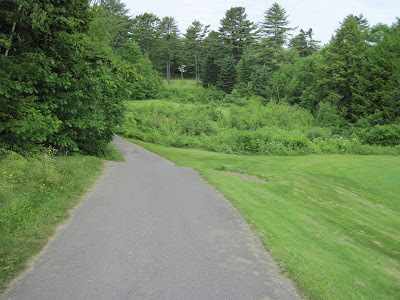 We heard a Mountain Quail calling from down this slope. 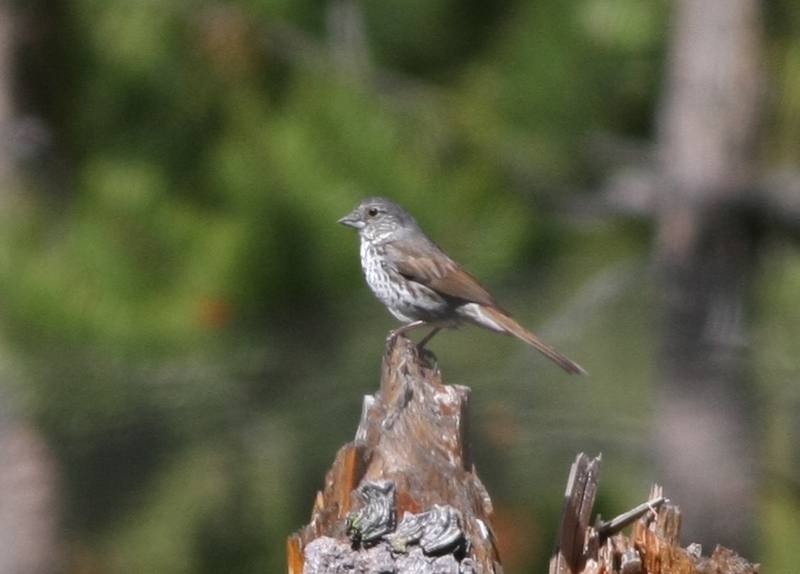 Fox Sparrow, Thick-billed subspecies group (megarhyncha), on Yuba Pass. Red Rocks Road, which burned a few days after we visited in search of Gray Flycatcher (successful) and Juniper Titmouse (unsuccessful). 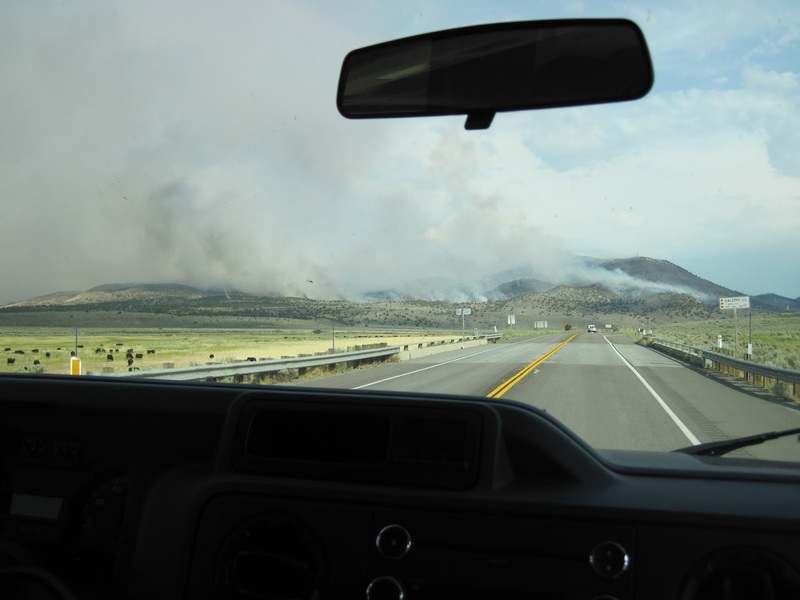 The Red Rocks Fire, en route back to Reno. 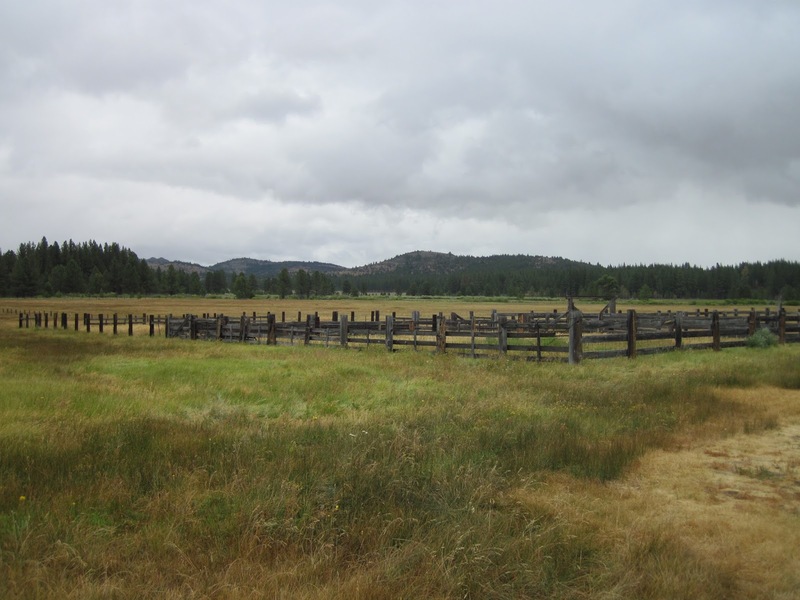 Papoose Meadows, just south of Eagle Lake, held a couple of Yellow Rails. 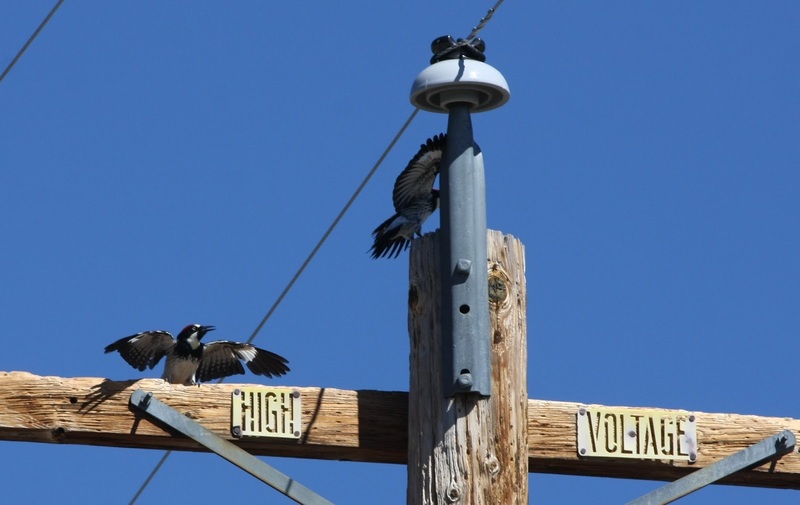 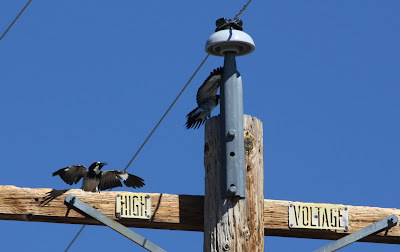 Acorn Woodpeckers, playing on high voltage lines in Janesville. 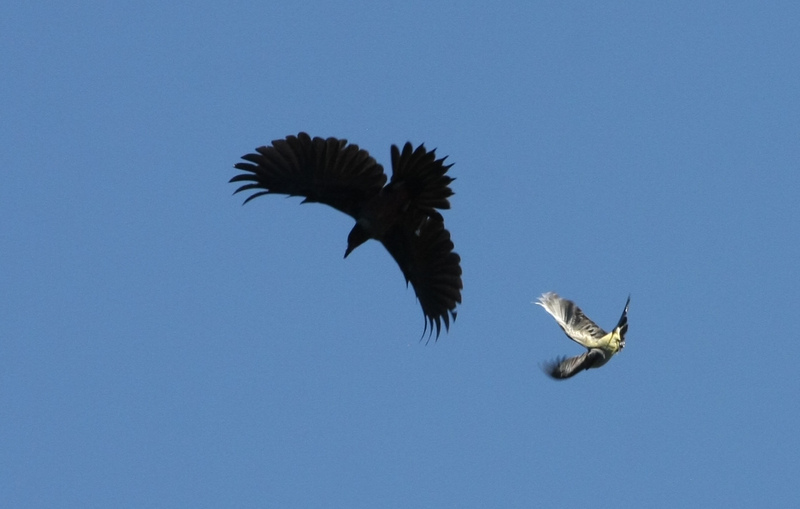 Lewis's Woodpecker being mobbed by a feisty Western Kingbird. 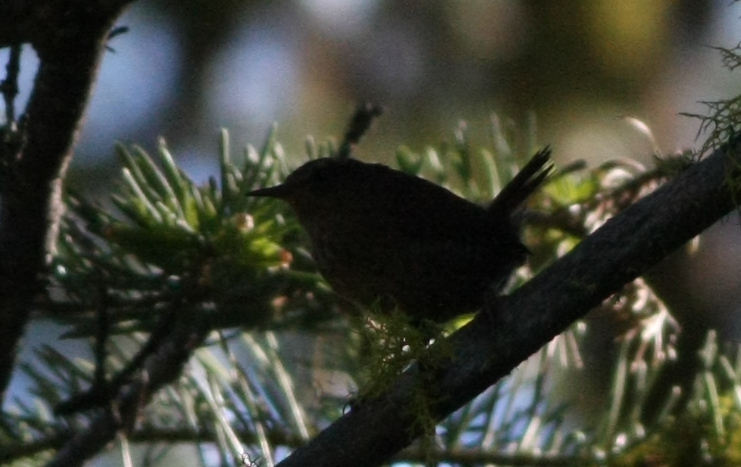 Pacific Wren in the Warner Mountains. 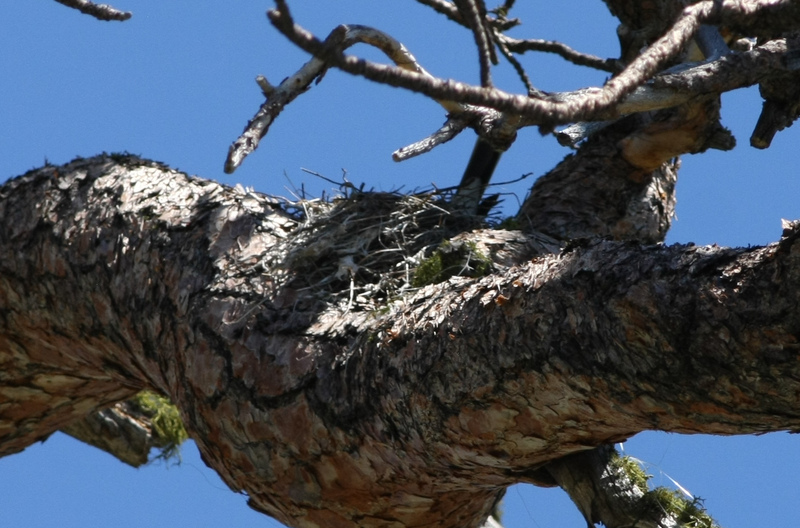 One of California's only nesting Eastern Kingbirds, at Blue Lake. Singing male MacGillivray's Warbler, at Blue Lake. 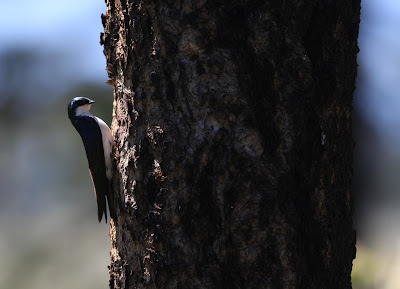 Nesting Tree Swallow, at Blue Lake. 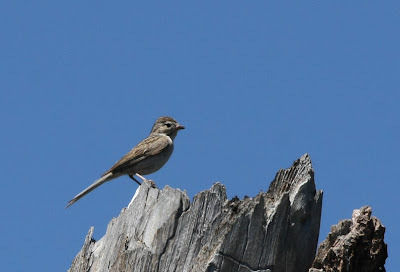 Brewer's Sparrow, at Blue Lake. 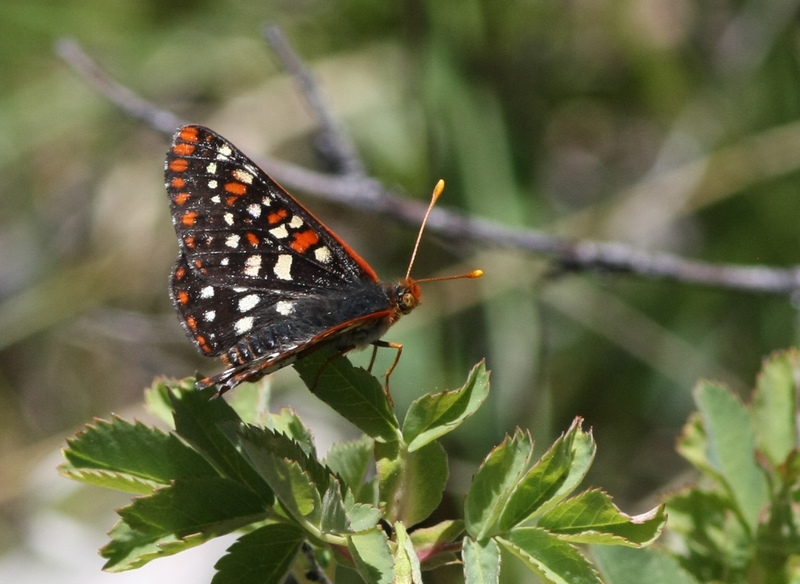 Variable Checkerspot, at Blue Lake. 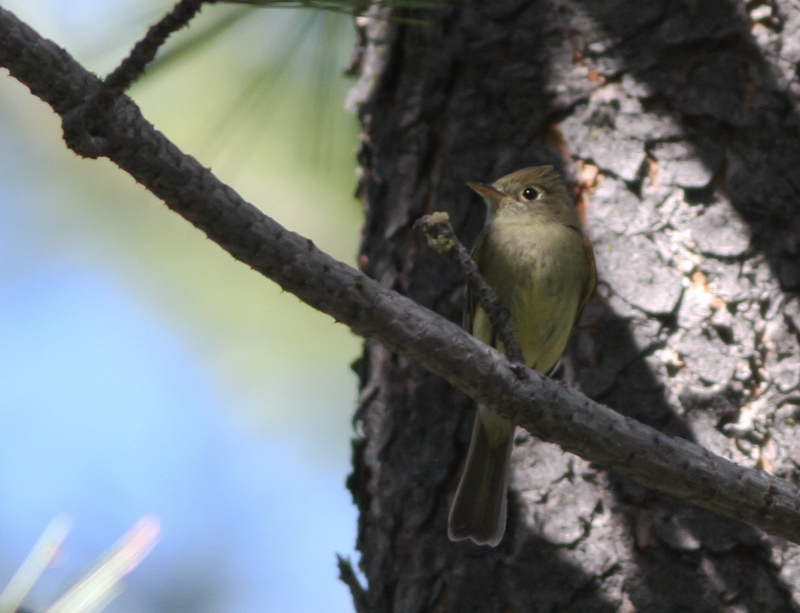 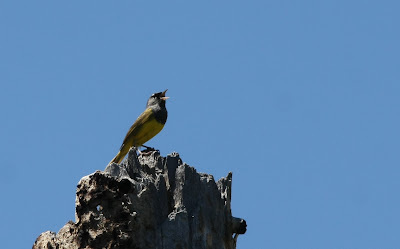 Cordilleran Flycatcher, in the Warner Mountains, the only regular location for this species in California. Sworinger Reservoir, in the foothills of the Warner Mountains. 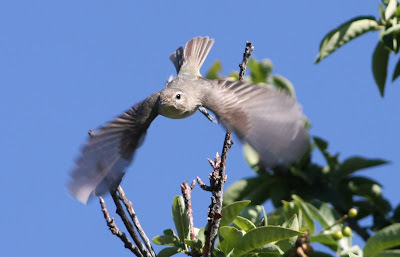 Warbling Vireo taking flight in Oregon, en route to California, on the other side of the road. 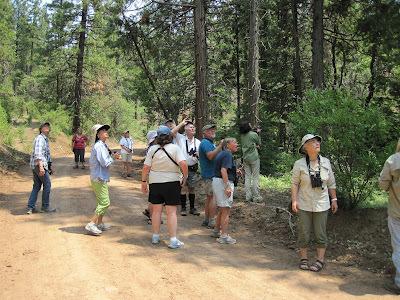 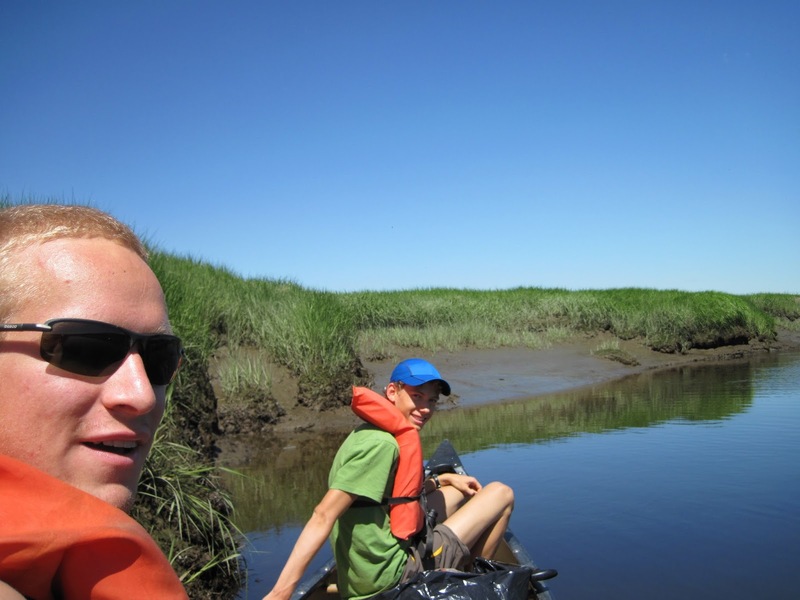 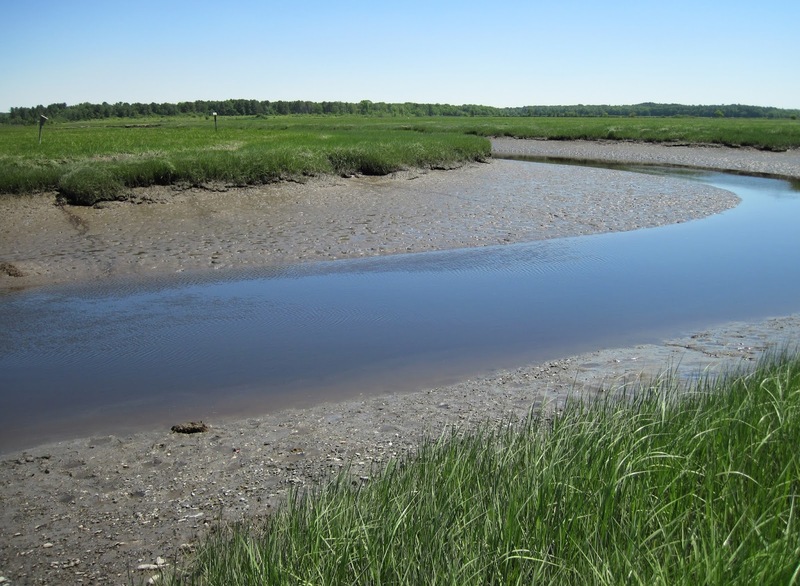 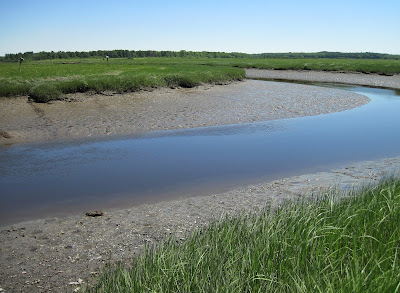 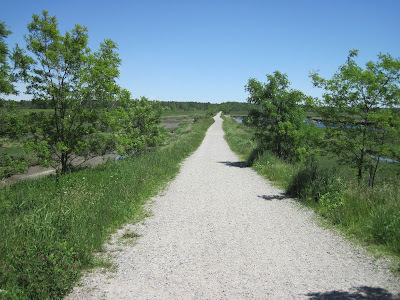 Birding near the almost dry lakebed of Goose Lake. 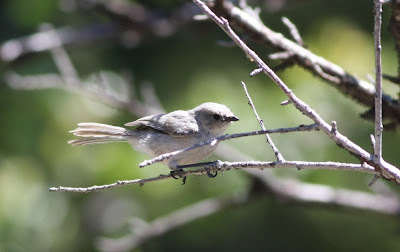 We encountered a flock of Bushtits on Fandango Pass which appear to show intermediate characteristics between the more western Brown-crowned subspecies californicus and the more eastern Gray-crowned subspecies plumbeus. 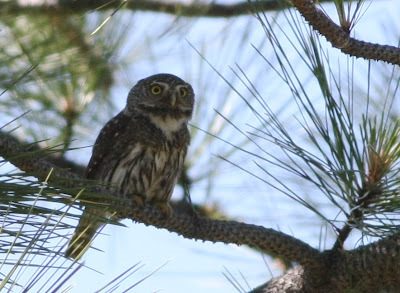 This Northern Pygmy-Owl flew in to check out Dave Quady's tooting, while we photographed the flock of Bushtits. 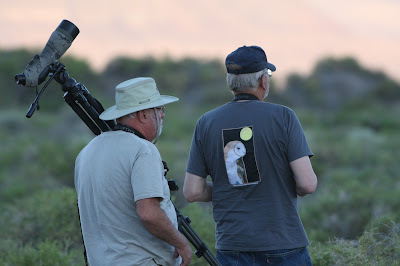 Jon Dunn and Dave Quady search for Sagebrush Sparrows. 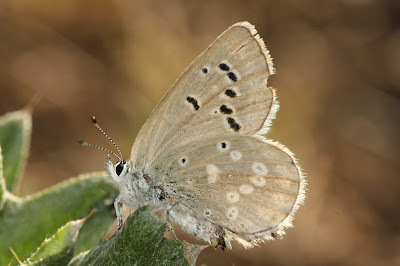 Boisduval's Blue at Stough Reservoir. 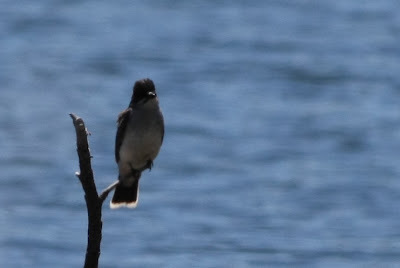 Female Bufflehead, likely nesting, at Stough Reservoir. Scanning the gull and tern colony at Dorris Lake. 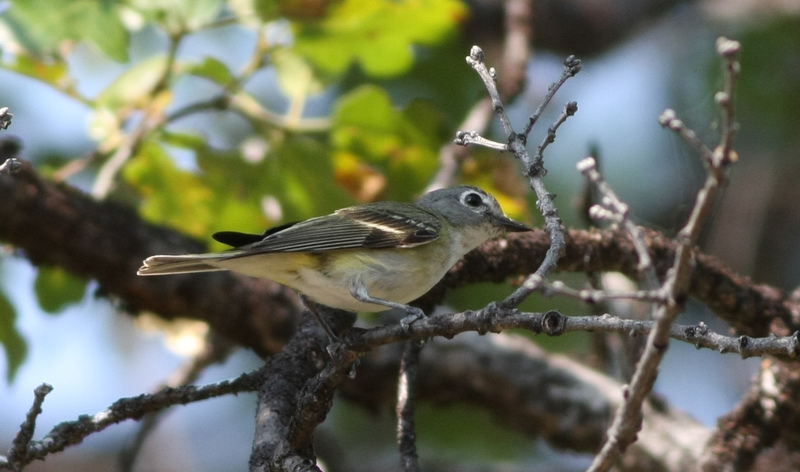 Cassin's Vireo on Day Road. 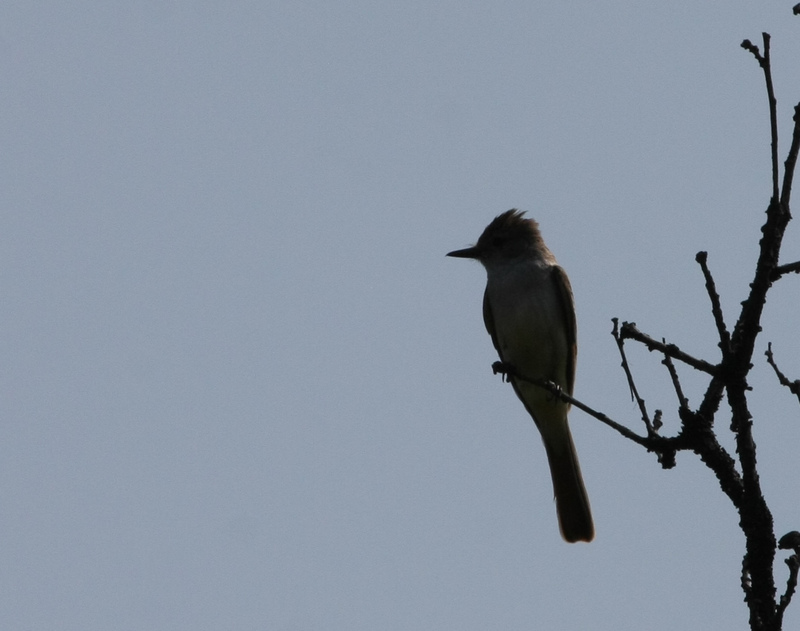 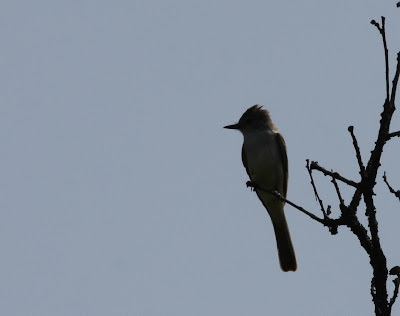 A silhouetted Ash-throated Flycatcher on Day Road. 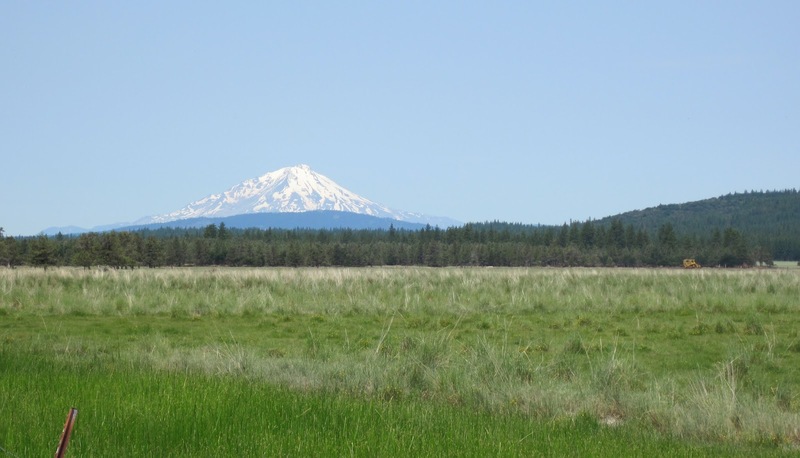 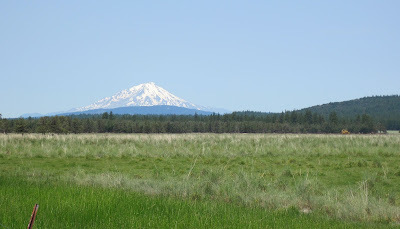 A view of Mount Shasta from near the town of Day.